Lori is THE BEST! Seriously. My 1 year old rescue dog, Rain, could not stand me even being out of SIGHT let alone apart from her. When I started to try to leave her in a kennel with my new job, she became Houdini and escaped to destroy all of my blinds, paint on doors, everything to do with the "exits". She could have hurt herself! With Lori's help and my following her homework, within two WEEKS Rain literally only fusses ~4 minutes/day in her kennel - if that (I can tell with the Dog Monitor app Lori schooled me on!). 4 minutes! Rain is calm, relaxed, trusts me, and is always ready to go when I get home instead of being COMPLETELY stressed out. I love my sweet girl dog, and knowing she is calm and happy means the world to me. I got the lifetime package, so while I initially wanted to (desperately..) only work on Rain's separation anxiety, now Lori comes to see me regularly for all kinds of other training - we're even training Rain to be a therapy dog now! Lori has truly made the difference between Rain and I being stressed versus calm and confident together. Her methods work. She truly went the extra mile during our acute time at the beginning, texting and checking in on me when she knew I was worried. Choose Lori AND the lifetime package! Anything else will not be nearly as comprehensive of therapy as you and your dog deserve. Thank you Lori! Such an eye opening experience!!!!! My dog Blanca was very reactive when she saw other dogs and people. Barking, lunging, growling, crying. It was a huge discouraging and embarrassing display that forced me to schedule walks early mornings and late night when I was least likely to run into other dogs/people. Even then, I would come home feeling defeated by her reactions. I was on the verge of giving up on being able to happily walk her. Within minutes of my first visit with Lori, she taught me how to communicate with Blanca in a way that commanded an immediate response. Not only did I gain confidence in taking lead with Blanca both at home and during walks, but she is learning to check in with me. Our walks are no longer timed, and I enjoy taking her out. Our relationship is stronger and she is learning to trust me and my response when we are out, rather then reacting. 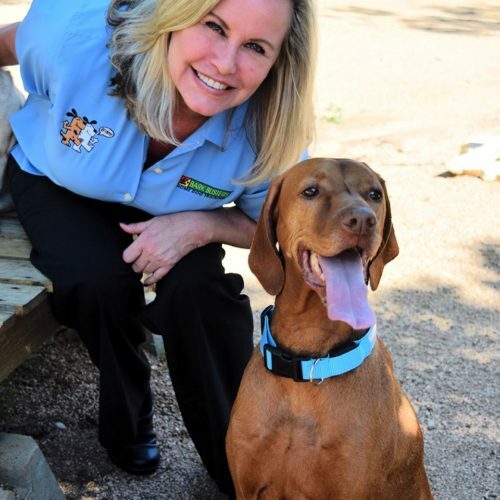 Lori is a true animal lover who wants to help people have positive loving relationships where your dog looks to you for what to do next rather then thinking they have to be in control. I cant thank her enough!!! Lori’s training was unbelievably awesome! 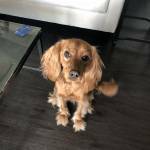 She explained the theory behind her approach really well and helped us apply skills that showed immediate behavior changes in my dog, Parsley. I thought Parsley was doomed since she is an adult so to see her flip into an obedient and more relaxed mode once we applied Lori’s lessons was very exciting. I found Lori to be enthusiastic and she made sure to address all the items on the “wish list” of concerns. Also, I was surprised at how easy the training was. I thought we would have to practice for weeks to see improvements but that was not the case for Parsley. Thanks, Lori! Lori is awesome. I was totally amazed at how quickly she helped me to change the behavior of Sasha. Lori is absolutely amazing! She has been very professional yet personable at all of our sessions and gives great instruction. Her presence and command over Ellie is apparent and it's very refreshing dealing with a knowledgeable, straightforward individual. She also communicates via phone, text, and email quickly. She has provided us with invaluable information and training tools and best of all, Ellie listens! 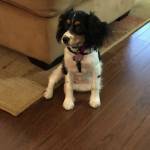 I was stunned when we saw an immediate (positive) change with her behavioral issues as well as in her entire demeanor. Lori trains the client as well and ensures that you are equipped with everything you need for success. Ellie is a way happier pup and we are way less anxious and happy owners! I would recommend Lori to ANYONE whose dog is having behavioral issues. It has been 100% worth the investment! After one three hour lesson and meaningful guidance for the humans, our dogs have been very responsive to the training and voice commands. No more pulling on walks, no more charging the door when guests arrive, toilet training going well for 12 week old puppy, and so much more, even got them swimming this past weekend. Lori just came yesterday to work with our dog, Ruby and we are already seeing great improvement! Ruby waits for us to go all the way downstairs until we tell her to come down, she hasn’t been jumping up on us, she stops barking when needed, etc. We really loved working with Lori and are so pleased with how well our dog responded to all of her training techniques! Bark Busters guarantee is real. My first review is posted from a year ago. We had to call Lori back because Sunny was barking at our sliding gate and barking and jumping on people at the door. Lori gave us a new tool but mostly reinforced doing what we had stopped doing and she had given us before which was leadership exercises. Anyway she solved the problem in like 2 minutes. It's kind of like going to the doctor feeling sick and then you get there and start feeling better. I mean it's almost embarrassing how good she is and how easily she got us on the right path. The guarantee was one of the reasons I choose bark busters and they do stand behind the guarantee. Even if its the owners that are broken. Thanks Lori! You are the best. And thanks Bark Busters!! I was so excited to meet Lori! She far exceeded my expectations and was even able to move our appointment up almost a month from the original date, which meant my significant other could join us as he is out of town quite a bit! You can tell Lori is a natural and truly cares about your dogs growth. The first visit went by so quickly, it didn't even seem like work and definitely gave me a confidence boost when training. She is extremely easy to talk to, a doggy guru, and very professional. I can't wait for our next visit! Excellent first session. It produced immediate and so far -- lasting -- results. Excellent session, Lori took her time, explained the process thoroughly and easily. I was amazed how quickly my dog responded. Lori was amazing! I loved the non physical and non treat based lesson for my dogs. She trained ME to take control with just my voice and my dogs were transformed within a couple of hours. I am in shock how easy and effective this training was to learn and implement. I have already bragged at work and will continue to spread the word about how fast my dogs responded. Thank you so much! Lori is such a great trainer and we are already noticing improvements with our boy! Since he's 5 years old and "set in his ways" he is going to be a bit more of a challenge but we are so happy to have Lori here to assist us. She was patient with us and our dog and has really given us hope that he can be a better behaved dog. We are excited to continue our training with Lori and are so happy to have found Bark Busters! Working with Lori was such a pleasure! She is clearly on top of her game as a dog trainer. You can see instantly that she loves dogs and wants the best for the dog and the owner. It was very exciting to see her implement the Bark Buster's techniques and pass them on to me in such a clear and easy way. I would recommend her to anyone who needed dog training. Amazing. I love this method. I would never have believed the results could happen so quickly. It is really effective for my dog, Josie Lou. She responds immediately to this training! I'm thrilled and really love Lori. She is patient and listened to my story of how the problems began with my dog. Have been telling everyone about Bark Busters and Lori!! Lori was amazing! This program is amazing! After one session, I saw a difference in how my dogs responded to me. Most importantly, I wanted them to stay away from the front door when people came and to not jump o them. Lori showed me the "trick", and I haven't had any problems since then. The program is easy to do and simple to learn. Lori is GREAT ! The BAH is working great. We just finished our second lesson with Lori. Fynn is my hyperactive, 5 year old chocolate lab PUPPY. He's a unique one to say the least. Although I was very hopeful training would work, I wasn't very confident. After just 2 visits with Lori my confidence has sky rocketed. I fully believe that as long as we keep up the excercises and continue with the techniques that Lori has tought Fynn (and mainly myself) that soon enough, my 85 lb monster of puppy will soon be the well behaved, obedient dog (and best friend) that I've always known he was capable of. We have a hope! Thank you Lori! Very helpful first lesson! 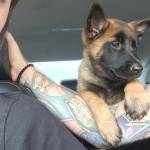 Many basics that we didn't know about, and our puppy has responded very quickly. Lori was extremely informative and demonstrated techniques very effectively. My training was only 4 days ago and I cannot believe the difference in my dogs. I say "my" training because I was the one that really needed most of the training! The first day after the training I was able to walk both my dogs at the same time and they walked behind me and were very calm. They were usually dragging me down the street! Today while walking the dogs a neighbor was jogging and they didn't even get excited or bark. Before my training they would have been trying to chase the neighbor down the street. They are no longer trying to get out the door before me and are waiting for my signal to come. Lori is fantastic. She and Bark Busters have the right approach in training our puppy. Within 2 hours she had our pup responding to voice and hand commands (which was quite surprising to us). We have written follow up instructions and so far our puppy has continued to respond in a positive way...and Lori will do follow-up visits to help train our puppy (and us). Maybe the best part of all is that Bark Busters provides a lifetime support guarantee whereby Bark Busters will provide support and training for the life of our dog. 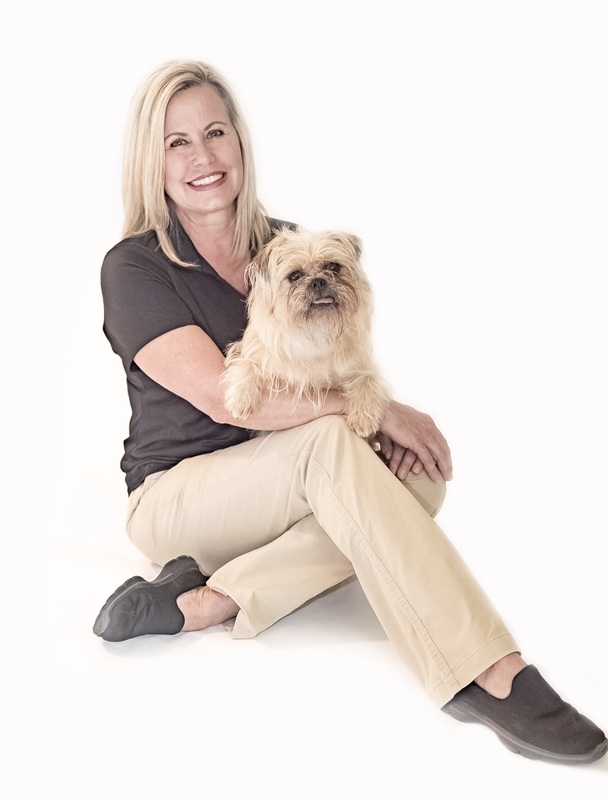 We strongly recommend Lori and Bark Busters techniques to any dog owner, she is knowledgeable, patient and was extremely helpful - plus she loves dogs. Lori, and this program are both amazing! What she teaches you makes total sense, yet we did not think of it. We noticed a difference in the puppies right after she left. It is a lot of work on our part at first, but they are responding great and we have a lot of confidence and are very pleased. Wow --immediate results! Lori is great and the Bark Busters system works. We wanted our dogs to learn not to jump up on people and walk better on leash. They are doing very well in both areas. After a month and a followup visit we are very, very happy. Would recommend Lori in a heartbeat! We've had other dogs trained (bird dog training with shock collars; plus other local trainers) and nothing has worked this quickly and this well. We've also learned so much more about understanding dog behavior and proactive training. If you need dog training this is the one you need. We completed our first training session last Friday and immediately saw results! I was confident that our dog, Marley, would respond well to training, but not this well! We used to have to worry about friends or family coming over as she would lick and jump constantly, but this past week we have had groups of family and friends over with no problems at all. This is definitely a great investment I would recommend to anyone for their dog. Also, this is one of the only companies that offer lifetime support that isn't thousands of dollars! I highly recommend Lori and Bark Busters, and I am so excited to continue to work with Lori and Marley to establish rules, boundaries, and keeping Marley a happy sweet pup. Our family had a great experience with Bark Busters. Lori was very knowledgeable and helpful. I had been looking into dog training for awhile and I loved the fact that Lori could come to our home and meet with our whole family. We quickly recognized how well Ginger had trained us. Now we are all in the process of learning how to lead her. Lori gave us a training schedule to practice the behaviors we want Ginger to demonstrate. The techniques Lori gave us are simple and everyone in our family can use them. Lori also welcomed us to contact her anytime with our questions. It is wonderful to have accountability with support. Lori was AMAZING! Incredibly knowledgeable, patient, and professional. Sophie loved her and we apprecaite all her insight and time with us! Lori is amazing!! I was a little skeptical but after 2.5 hours I have a different dog. She is very knowledgeable and skilled at training and the barkbusters program could not be easier. As a working mom of 2 kids under 2, I have been able to follow the simple training and it has been a lifesaver. Thank you so much Lori! My dogs & I met with Lori for the first time yesterday, and she was amazing! She was extremely kind & professional, and my dogs responded immediately to the training techniques she taught us, and she left me with some good exercises to practice with them. She assured me that she would be available for follow up sessions as needed to continue their progress. I feel like my dogs already have a pretty solid foundation, and I'm excited to see their continued improvement as we move forward! Thank you Bark Busters and Lori!! It was amazing! Chaplin is like a new dog. She is still responding beautifully. This training was very effective. After one session, our 11 week old golden is much more respectful. She still has to be corrected here and there, but there was a dramatic difference. She has not peed in the house since, and she is only barking to herself, when she is playing, instead of at us. We still have a lot of work to do with her, but now we have the tools to do it successfully. I am overjoyed and amazed at how quickly both I and Beau learned the Barkbuster methods. Tonight I ate my first meal sitting down in peace without a dog's nose in my plate or incessant licking on my legs! Beau played with his toy while I enjoyed my meal--WOW!! I thought that maybe once Lori (and her dog-whisperer presence) was gone that Beau would revert, but he really listened to my corrections. Lori was just great--so knowledgeable and easy to talk with about every issue (I listed about 20 of them on my "wish list!") I was having with Beau. She addressed each one and then some. Now it's up to me to practice each day so Beau and I become the best "pack" we can be!! Amazing turnaround from the first exercise and demonstration of leadership. Great insight into dog behavior and communication. Friendly training and so much fun! We are very pleased and signed up for the Lifetime Training and feel very comfortable in adding another dog to the family! Thank you Lori! Lori is amazing! I rescued Skye a mini Dachshund about 5 weeks ago. The rescue said she was picked up as a stray and she acted very skittish to the point I was afraid to correct her because I didn't want to make her more afraid. She hated the crate and every time I left her in it I came back to find a bloody little nose from her escape attempts. So I just started leaving her out, but when I would get back she would be positively spastic, yelping, jumping and nipping. I found Lori on Yelp and decided to give it a try as I wanted Skye to be happy and confident. After just the first visit Skye was a changed pup. She still didn't let a lot of people touch her, but she wasn't nearly as reactive to noises and I felt confident in correcting her when she had accidents in the house. We had our second visit 2 days ago and I was successfully able to put her in the crate and leave her in there for about 10 minutes without issue. Plus she is much more well behaved on our walks after the leash training. So grateful to Lori and Bark Busters! Lori is fantastic. I spent a ton of time researching dog training and where to go and who to use. Like everyone else, the internet seems to be our primary tool, but ultimately I decided to dig deeper and asked 3 different Vet offices about dog trainers. One of the things that impressed me about Bark Busters was the only company to offer a lifetime guarantee of support. I know as a business owner you can't afford to offer it if it's going to be used a lot. So I figured they most be pretty good with results. I also really like the fact that you weren't in a class or you drop your dog for a couple of weeks and then try to work with whatever improvements a trainer fostered. With Lori she comes right to your house. I laugh thinking of that first visit. Sunny was jumping all over Lori, pawing, knocking things over and running around crazy style. Lori first went through training my wife and I on the system. It was kind of hard to believe it would work. Then she sprang into action. Instant success. I mean day one. Sunny no longer barks at us when we eat, she waits at the door for a guest to enter without jumping, she's walking on a leash. She now goes to her bed and will leave an object when told instead of chewing on it. We just completed our 2nd follow up visit which is really a tune up for the owners as Lori had to reinforce a few things we forgot or simply weren't practicing after the first visit. I feel great about our 8 month shelter puppy and highly recommend Lori. She's also just a pleasant person on top of a great trainer. Now if I can get her to train my 7 year old son we'll really be in business! Lori speaks dog! She has been hugely helpful with my sweet, stubborn pup Mickey. When we brought Mickey home from the shelter he would bark constantly when left alone. We were getting complaints from the neighbors and were worried we might not be able to keep him. With Lori's help the barking has stopped and we are able to better focus on the underlying cause of his separation anxiety. Additionally, Lori has been hugely helpful in teaching me and my partner to communicate clearly with Mickey. Despite how stubborn he is, now he will sit, stay, and come. We're currently working on the down command and walking well on a leash. Mickey is a MUCH happier dog thanks to Lori and the Bark Busters program!!! I don't know what I would have done without Lori! She helped my puppy grow into an awesome, well-behaved dog. She helped me understand and communicate with my my puppy. It was so convenient to have all the appointments at home. Anytime I emailed questions, there was a quick, helpful reply. The books and training collars are very good too! I would recommend Bark Busters to anyone with a dog. I have tried different training methods before and none of them have been effective. I am genuinely impressed that without treats this method works so well! Lori Carr met all my expectations and I couldn't be happier with the results and the effectiveness of the method. We have 2 crazy hounds who responded to Lori and her methods on the very first visit! Our 55lb Coonhound is a rescue who was trained to hunt only for the first year of her life (we've now had her about a year as a loved non-hunting family member) and had absolutely no leash understanding and goes absolutely insane when she sees any other animal. Our 1 year old 72lb Catahoula was starting to learn bad habits and actually went from being super passive/submissive to somewhat aggressive which is what led me to the search for a perfect trainer! I read review after review about how amazing Lori and the Bark Busters way of training was working for hundreds of others on yelp and decided to give it a go. For the first time both my husband (who would of previously told you there was no way our dogs would ever be well behaved on a leash) and myself have hope for going on family outings with our furbabies in the near future and having a positive experience. I'm so thankful for what we've learned in just our first 2 sessions! We have learned how to be the pack leaders (as humans) and how our pups really do want to fall in line. We just need to repeat our lesson daily. No shock collars, no treat enforcement to bribe them... just real training! I promise you if you are considering training, do it...and choose Lori! You will not find a better value or a more compassionate or knowledgeable trainer for you or your dogs. Lori is wonderful! Lori loves dogs and has their best interest at heart, as she works with each families individual needs! I love the way she trains without using treats, and it works! She has different ways to train and if one idea isn't the best for that dog, she changes it up for what does work for the individual dog. She's very easy to coordinate on your schedule and will come as much as you need her. My dog responds so well to her and she will show you first hand how to fix bad behavior! I have learned a lot from her and I'm glad I found her! We have had only one session with Lori, and it was amazing how much we accomplished! I have 2 nine year old shih tzu's , and I was afraid they were too old, and set in their ways to get good results. However, they responded immediately to Lori's methods! Due to an illness in the family that happened right after our first training session, we have not been able to concentrate on the daily routine, but I am totally encouraged about how good they did with just one session. We are now ready to get down to a regular routine. I have great hopes that we can correct some very old bad habits in a short time due to Bark Busters efficient methods. Lori is very professional and knows what she is doing. My two dogs had immediate respect for her which is the key! Thanks, Lori. 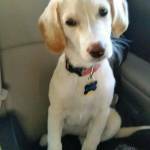 I had a great experience with Lori and Bark Busters, my puppy was not potty trained at 6 months and within the first 2 weeks my puppy is almost potty trained. Great experience and immediate results. Lori helped us re-establish the pecking order of the pack! Lori is amazing!!!! After one session my 18 month old rescue puppy was completely trained ! I have raised 10 dogs , worked at Austin Pets Alive, and taught yoga to dogs. In all my experiences I have never seen a dog respond this quickly to any training method . I LOVE the fact that her method does not use treats to bribe your dog! I want to be able to control my dog at any moment in any situation with my voice and body language. Lori teaches this, and it works like a charm! While training with Lori if I ever have a question I call or email and she responds promptly with an answer. She is a very positive person and my dog loves her! I don't really think she needs to come back to train us , but she is such a joy to work with I would miss her if she didn't. I think my dog would miss her too! Now we will just move on to more difficult tasks . Next on the list teaching my dog how to Stand up Paddle Board with me!!! I loved my experience with Lori. After the first session, I had more control over my dog. The training is gentle and kind. I'm very happy I called Bark Busters. Lori has become a great addition to our family with our new babies. She is knowledgeable and a delight to be around. Lori is incredible! In only a few minutes she had Nessie under her spell (control). Her method is unbelievable and so effective. I would encourage anyone who has a dog with any degree of behavior problems to give her a call. It only took a few minutes to teach Nessie but most of the time was spent teaching us!! Lori is amazing! After the first visit I could see big changes in Otis. Once Lori goes over the Bark Busters training method it immediately make sense. Otis and I are both a work in progress, Lori is very patient with us. While I thought training my sweet untrusting Otis was overwhelming Lori has given me the tools to make both Otis and myself much happier. After the second visit I feel even more confident this was the best decision I could have made! Excellent! Effective! Lori is just plain wonderful! She was just great with Gus! Bark Busters is the best dog training method I have ever used. Lori was AMAZING today - spot on with assessment, how to handle and 'treat' then FIX(!) the issues. She's also a delight to be around... 5-stars FOR SURE! Lori has exceptional knowledge about dog training. She is patient with the dogs and also with the dog owners. She has a pleasant and friendly way of teaching. The dogs' response to the training methods was obvious and almost immediate. They are a pleasure to walk on a leash, they don't jump up on people, they don't bark at deer quite as much, and the digging in the back yard has stopped. I can recommend her without hesitation - her training methods work!! Lori was fantastic. I saw a huge improvment in Romeo's behavior and jumping within hours. Lori is a "10!" 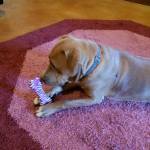 We love the Bark Buster Red Game Changer reward toy too! Lori Carr was amazing. In just one visit she changed most of my dogs bad habits. The hardest for me was walking my 120 pound lab. He walked me and when he wanted to go after something he was gone. She had him walking beside me somewhat behind me within 15 minutes. I go up and down my stairs peacefully now without them racing past me and almost knocking me down. I HIGHLY recommend Lori and will be giving her card to everyone I know. I am very active in the rescue world and can not wait to tell all of my rescue buddies about her!